Be a financial member of the AOA. Download the COP Manual (below) and read it. Download the COP application form and checklist (below) and complete with reference to the Guide to completing the checklist. Submit this information to the AOA Secretariat either by email, fax or post. It normally takes around 2 weeks to process your application. If successful we will send you a confirmation letter, certificate, POS order form and COP procedures manual. Being financial – paying all membership fees in full preferably before the due date. 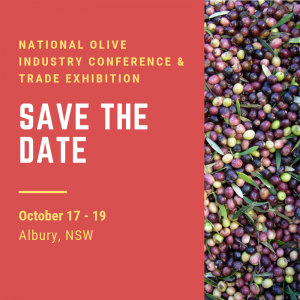 plus sensory assessment undertaken by – NSW DPI or Modern Olives (or through participation in a recognised EVOO Competition). Also a good idea to send the Code Administrator a draft of any proposed label changes for approval prior to printing. Providing evidence of having a HACCP style food safety / food quality plan – either ‘in-house’ or as part of a third party certification arrangement. AOA provide a Risk Assessment tool and HACCP Style Food Safety / Food Quality Plan Template that Signatories can adapt to suit their enterprises. Providing evidence of having a product traceability system including the use of unique batch codes, supply chain records and a product recall system in place. Providing a declaration of EVOO storage conditions, including control of Heat, Light and Oxygen. Providing evidence that your product Best Before Dates (BBD) values are supported by technical evidence. Note: Product BBDs may not exceed 24 months. Do you store your oil in stainless steel tanks? – If not what storage vessels do you use? Do you use an inert gas blanket or a floating lid? – If not how do you control exposure to air? Does your EVOO contain >70% Oleic Acid? – Have you tested the fatty acid profile (FAP) of your EVOO products? Do you ‘rack-off’ sediments and water when settling your new season olive oil? – What is you ‘rack-off’ schedule? However, if your EVOO product has a FFA >0.4% and / or fails to meet the above storage conditions, then we will need to be conservative in determining an objective BBD.